Wherein the NeoLondoners search for Augustus Whitehill, combing the frozen city, speaking to any Aurorans who will hear them. Finally, Ginger transforms into her were-form, takes the groom’s scent and they find him, in a hidden ice cave under the city. They explain the situation and he follows them back to the Cathedral and is reunited with his bride. The NeoVictorians: Asil Karu as herself; Bride Nourie Hadig Whitehill as herself; MadMechaMessiah Resident as Leander Hatfield; Treyhem Whitfield as Captain Treyhem Sleipnerson; DarlaDoll Resident as Darla; peacelynxtree Resident as Adara; Xiuhcohtl Balazic as Anya “Ginger” Greer; GhostFacedKiller Resident as Augustus Whitehill; Fianah Mistwood as Miss Tickta; and Jhaesoph Foxdale as himself. The Aurorans: Veronica Carstensz; Case Hammerthall; Lucius Darkwatch; Ariella Ravenheart; GeneralSturnn; TPaden Bobair; Incognito Corvale; and Ⓐяi Ⓔℓℓα Ⓡaveηheaяt. Join us in Aurora FF SIM, when we roleplay to undo the curse! 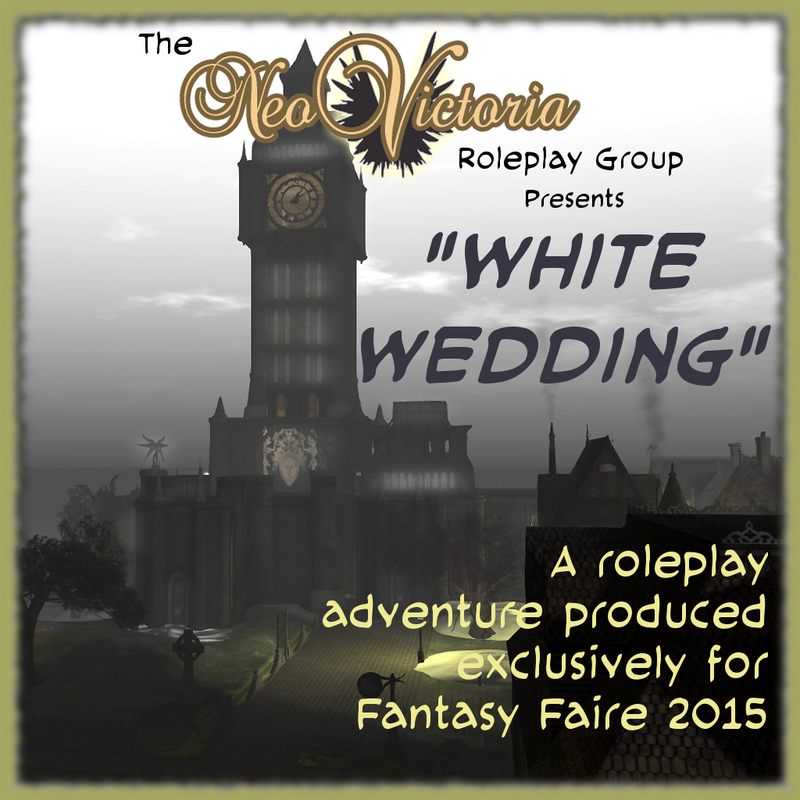 Everyone in the Fairelands is invited to the roleplay.